Wills from more than 230,000 British soldiers who died during World War I are being digitized and made available online. Soldiers kept the wills in their pocket service books; the wills and other documents in the books are being digitized. Plans are to digitize all the World War I wills in time for the 2014 centenary of the war. These wills are part of a larger project to digitize all 41 million British war wills, from the Boer War to the Falklands War, and make them publicly available. The story is on BBC and Huffington Post, among other sites. The news organizations were given access to the first wills to be placed online. BBC has "clips" of five wills, among them that of Mick Fleetwood's grandfather, who died in 1915 of dysentery. Huffington Post has images of three complete wills. The link in the BBC story is incorrect (maybe they'll correct it at some point). The correct URL for the database is https://www.probatesearch.service.gov.uk/, as shown in the Huffington Post story. When you find a will you're interested in, you add it to your basket. The cost for copies of the wills appears to be £6 each. One disadvantage to the search is that you are required to enter a year. If you don't know the year, I guess you can always search one year at a time. On the other hand, it says very clearly at the top of the search page (both basic and advanced) that they want your feedback. Guess what I'll be mentioning? I wrote recently about several excellent research locations in San Francisco. Most of them have material about San Francisco and other areas also. But what if you are specifically researching your family in San Francisco and need some assistance? Lucky for you, there's a group that can help you, even if it meets in Oakland. 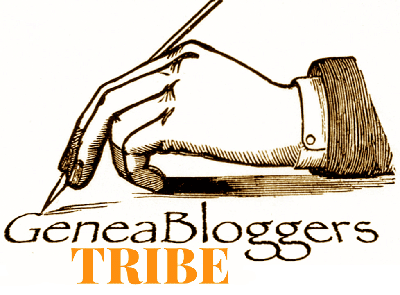 Today's guest writer, Sandra Britt-Huber, is here to tell us what the group is all about. Take it away, Sandra! The San Francisco Special Interest Group (SF-SIG) meets at the California Genealogical Society (CGS) on the third Saturday of every month from 10:00–11:30 a.m. The group was established to bring together and help fellow San Francisco researchers advance their research by sharing ideas, knowledge of records, research hints, and successes. Activities are a mix between discussion group, speakers, and field trips. Participants bring their own expertise and interests to the table so that everyone can share knowledge and learn. Nancy Peterson’s book Raking the Ashes is being used as the core research tool or "textbook." The first meeting of the group was held September 15, 2012. Since then more than 80 people have signed up and attended meetings. On average seventeen people attend the monthly meetings, not including speakers and presenters. The attendees are a mix of CGS members and other researchers. Our meetings foster a spirit of sharing our collective knowledge, such as what records are available and where, how to manage research, and suggestions on how to find information and documentation for difficult research situations. We also share photographs, memorabilia, books, recently found documents, storytelling, and historical knowledge. Sometimes for fun we have quizzes, with prizes going to the winners. The group facilitators have collected old maps of San Francisco ranging from 1850–1924 for members to use. The facilitators also have sought out some San Francisco historical data to share with the group. We have created a chart for our members to use as a research tool, listing each family in the group we are searching for in San Francisco. The idea behind the chart is that while we search for our own ancestors, we may run across a name or record that someone else in the group is searching for. This idea enables us to expand our individual search to have multiple persons searching. Over the past year, group members have become acquainted with each other through sharing our families' histories, and amazingly connections between members have been identified. Some members have discovered they are distantly related or that their ancestors were business partners. We have also learned that we’ve lived and grown up in the same neighborhoods, and we share great stories about our experiences in San Francisco. We sometimes invite speakers to give presentations, such as Ted Miles, the reference librarian at the J. Porter Shaw Library at the San Francisco Maritime National Historical Park. This was a well received and well attended event. Mr. Miles discussed maritime history from 1840–1940 and focused his presentation on ships arriving on the West Coast. Ron Filion and Pam Storm, the team who operate the Web site SFGenealogy.com, have spoken about the site and how to use it, along with informing us about the latest records posted and available, such as the Catholic cemetery records provided by Holy Cross (including Calvary Cemetery transfers). And the group is particularly excited when Nancy Peterson drops by on occasion to talk about her book and field many questions. This is especially helpful for newcomers to San Francisco genealogy research. Our commitment to bring CGS members and other researchers together to learn more about their San Francisco ancestors, to join together and share our knowledge and to learn from each other, seems to be successful. Come join us and see how we can help you research your San Francisco family. Also check out the CGS Web site for more information about the SF-SIG and other events and classes. You can contact us at sfsig@californiaancestors.org. Museum Victoria and the State Library of Victoria are offering four free Webinars over the upcoming four months on how to use their and other online resources. The series of Webinars, titled "Digging Deeper: Making the Most of Victorian Collections", will each run from 4:00–5:00 p.m. Victorian time, which I think will be either 11:00 p.m. (during Daylight Saving Time) or 10:00 p.m. (Standard Time) in California. The topics cover using multimedia, using digitized items, online historic and current newspapers (hooray for newspapers! ), and researching historical and current science. You need to register for each Webinar separately. Information about the Webinars and registration links are available here. Thanks to ResearchBuzz for posting about this! The emphasis on this episode of Who Do You Think You Are? was on family. The message was delivered in almost as heavy-handed a fashion as the "strong women" in the Kelly Clarkson episode, though Chris O'Donnell was far more believable than Clarkson. In the introduction O'Donnell says that he's doing research on his father's family in honor of his father, who recently passed away, and that there's a legacy of courage, patriotism, and devotion to family. The overview of Chris O'Donnell says that he's an actor, producer, and director. He is mainly known as one of the stars of NCIS: Los Angeles, and he's been in this career for more than 25 years. Some of his important roles over the years have been in Men Don't Leave, Scent of a Woman, and Batman Forever. He had the opportunity to be part of the Hollywood scene but family was more important to him. At the age of 26 he met the "right person"; they have been married 16 years and have five children. O'Donnell is the youngest of seven children. His father, William O'Donnell, was born in 1922 in St. Louis, Missouri. His father passed away two years ago (actually 2010, I think; later in the episode we get something about the filming being done in 2012) and by researching his father's family history he can maintain a connection with him. William O'Donnell was a self-made man who put family first. O'Donnell gets a little choked up when he speaks about his father and is obviously very emotional. William was a solid role model and was proud of O'Donnell and his accomplishments. O'Donnell's mother is still alive, so he can ask her questions about her side of the family, but can't do the same for his father's side. Even though his mother is still alive, O'Donnell doesn't meet with her to start his reearch. Instead he sits down with his sister Libby's middle daughter, Tory Berner, who currently (for the summer) is living with O'Donnell and his family. Berner is this family's amateur genealogist, and she has put some information together. (I'm really starting to wonder about all these celebrities who just happen to have someone in the family who's been doing genealogy work.) She says right up front that she's been doing all of her research online, which should raise alarm bells, but off we blithely go. Berner starts by saying that they know William's parents were Sarah Regina McCabe and John O'Donnell. Berner has an 1886 baptismal certificate for Sarah from St. Louis; it says Sarah's parents were Henry McCabe and Mary McEnnis. Berner suggests they find out more about the McEnnises and tells O'Donnell to look up McEnnis in St. Louis. In the 1850 census he finds a 1-year-old Mary McEnnis in a household with Michael and Eliza McEnnis, probably Mary's parents — but since no relationships are listed in the 1850 census, this is just a supposition. Without saying where she has found any verification of these people's identities, we immediately leap to the conclusion that Michael McEnnis is definitely O'Donnell's great-great-grandfather. O'Donnell asks about the cholera epidemic. The 1849 cholera epidemic came to the U.S. from Europe. St. Louis was one of the hardest hit cities. The epidemic killed about 10% of the population. At its height 88 people were buried each day; 4,500 people died in three months. (This doesn't quite add up, but that's what he said.) At the time people didn't know what caused cholera, so it spread easily and rapidly. Michael's father John McEnnis was the superintendent of a graveyard in St. Louis (a Catholic graveyard according to the document, though they didn't state the denomination in the episode). Michael was off fighting in the Mexican War when he received a letter from his family. His father had died and his brother had taken charge of the cemetery, but his brother had become very sick. No one else was available to take care of the burials, and the family needed Michael's help. Northcott shows O'Donnell a photograph of Michael, who looks like a serious young man. The 1850's are fairly early for photography, so it is uncommon to have a photograph of someone, much less have it survive. O'Donnell wants to know where he can find more information about Michael in the Mexican War, and Northcott says he should go to Washington, D.C. As he leaves, O'Donnell says that he has no written account of his own father's life, but now he has one for his great-great-grandfather. So far he finds Michael's life to be amazing and wonders what else he will find. In DC, O'Donnell goes to the Georgetown Neighborhood Library and talks with Amy S. Greenberg of Pennsylvania State University, listed as an expert on the Mexican War (though it does not appear to be the main focus of her research). She has Michael McEnnis' compiled military service record (CMSR) from the National Archives, so the Georgetown library is yet more window dressing. O'Donnell gives a lame cue — "Can you give me a synopsis about the Mexican-American War? Refresh my memory from my senior year in high school." — and Greenberg explains that in May 1846 the United States extended only to the Midwest but believed in manifest destiny, so we declared war on Mexico, which controlled the continent from Texas west to California. Michael's service record jacket showed that he was in the 1st Regiment of the Missouri Mounted Infantry. (If Michael's records are at NARA, I would normally think he was in the regular U.S. Army, not in a state volunteer unit, as those records are generally held in state archives. But I've researched the Mexican-American War — in fact, a Missouri mounted unit — and I recall that most units were state volunteers, and this sounds like a state unit.) Greenberg explained that he was a 12-month volunteer. His first muster card, for June 11–August 31, 1846, showed that he signed up less than one month after President Polk had called for volunteers. His unit's orders were to go to New Mexico, capture the enemy, then go to California and capture the enemy there. (This is a weird coincidence. This is exactly what the orders were for the person I researched for this war. I'm pretty sure Michael's unit was under General Kearny.) This was during two months of the summer in Oklahoma and New Mexico, when the weather would have been broiling. Michael's muster card for January–February 1847, though, shows that he was absent on furlough in St. Louis. For some reason, O'Donnell comments that "he disappears", but later corrects it to saying he was on furlough, and wants to know why. Greenburg has him look online on Fold3.com (owned by Ancestry.com! ), where he finds a letter from Michael to the Adjutant General dated December 21, 1846, applying for a discharge. Michael stated that on June 7 he had left St. Louis/Fort Leavenworth and then arrived in Santa Fe, where he had learned of the death of his father. He had a large and helpless family and needed to return to them. For some reason O'Donnell asks whether the discharge was dishonorable. Greenberg immediately responds, "No!" and says that it was an honorable discharge. She then mentions that the Smithsonian has an amazing collection of Mexican War artifacts and suggests that O'Donnell should check it out while he is in town. This immediately implied that the research team had found something there about Michael McEnnis. O'Donnell talks about how Michael had volunteered to serve his country right away but went back to St. Louis to take care of his family. His duty to his family was his priority, more important than his military career. O'Donnell relates to that, as his own family is his priority also. O'Donnell heads off with Greenberg to the Smithsonian's National Museum of American History. Curator David Miller (this page says he's the Gun Room curator) meets them at a display about the Mexican War. On a table are a cavalry saber and scabbard. Miller hands O'Donnell a letter and says it came with the saber. 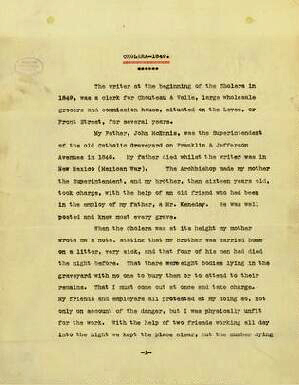 The letter is dated June 5, 1905 and was written by Michael McEnnis. Michael said he "accidentally retained" the old saber and was now donating it at the request of a friend (perhaps someone associated with the museum). To handle the saber, the conservator's gloves do come out. Miller explains it is a Model 1813 horseman's saber and that it's been in storage. (Apparently the Smithsonian has an excellent listing of its storage items! How in the world did the show's researchers find out about this?) O'Donnell wonders whether Michael would have thought that his great-great-grandson would be holding it 107 years later (which is how we can tell this was shot in 2012). O'Donnell mentions that he also "accidentally" kept his sword from The Three Musketeers, so apparently it runs in the family. Greenberg says she had done some additional research and they also found a photo of Michael. Michael looks to be about 80 years old, so they've estimated it dates to about 1905, the time of the letter. Michael looks rather distinguished, with a full head of gray hair; O'Donnell wonders if he'll get gray hair also. A St. Louis Post-Dispatch article from May 14, 1911 talked about Michael as the only man still living in St. Louis of the 8,600 men from the city who were in the Mexican War. The article said he came from fighting stock and was the ninth generation of his family in this country. In the War of 1812 88 members of the family fought, including Michael's grandfather George McNeir, a lieutenant in the sea fencibles who participated in the bombardment of Ft. McHenry. From the cholera epidemic manuscript, O'Donnell knows that Michael's father was John, so assumes that John's wife must have been a McNeir and George was her father. O'Donnell makes an unusual comment: "Looks like I'm going to find out something about George McNeir." (Maybe he's psychic.) To find out more about George, O'Donnell is told to look for records at the National Archives. O'Donnell starts adding up the numbers — if Michael was the ninth generation in this country, that makes O'Donnell the thirteenth, and his children the fourteenth. Then he starts thinking about George McNeir, his fourth great-grandfather, who was in the War of 1812, and wondering what he will learn. Now he goes to the National Archives (that's probably why they shot the first scene with Greenberg somewhere else) and talks to historical researcher Vonnie Zullo. (We also saw her on the Kelly Clarkson episode.) Zullo tells O'Donnell he's "in luck" becuase George McNeir's original CMSR for the War of 1812 still exists. The War of 1812 was fought between the United States and Great Britain. Great Britain was at war with France, and the U.S. had been trading with France, so Great Britain started attacking U.S. ships and impressing sailors. At the beginning the U.S. was being crushed. McNeir was a third lieutenant in Captain John Gill's company of sea fencibles. O'Donnell says, "I've never heard of a sea fencible." (Neither had I; thank heavens for Wikipedia!) They were local men who protected key U.S. ports. O'Donnell asks what a third lieutenant did. Zullo responds that he would have been in charge of the cannoneers, and they joke that he probably would have had bad hearing. The first of McNeir's muster cards shown is for February 28–March 31, 1814. At that time the war was not going well for the U.S. The British had more ships and men and were destroying towns by burning them to the ground. The next muster card, for April 30–June 30, 1914, showed McNeir in Ft. McHenry in Baltimore. (No muster card was shown for June 30–August 31, during which period the British burned Washington, on August 24.) The final muster card shown was for August 31–October 31, 1814, which did not list a location but indicated McNeir was discharged. Zullo pulls out one more document. It states that George McNeir accepted his appointment on March 22, 1814 and that his resignation was effective November 24, 1814. His resignation was accepted. Zullo says that this type of request was not necessarily normal. She stresses again that O'Donnell is lucky because most often documents such as these have not survived. Then O'Donnell wonders what the situation was with McNeir's family that caused him to submit his resignation. Zullo says that since McNeir was from Baltimore, the Maryland State Archives in Annapolis would be the place to look for more information, as it would have records about people from Baltimore. O'Donnell says he has to find out more. His ancestors chose family, as he and his own father did. He wonders if maybe someone in the family was sick or had died, or maybe if McNeir was just sick of hearing cannons. Now, O'Donnell is a decent actor, and he made most of the scenes in this episode believable. 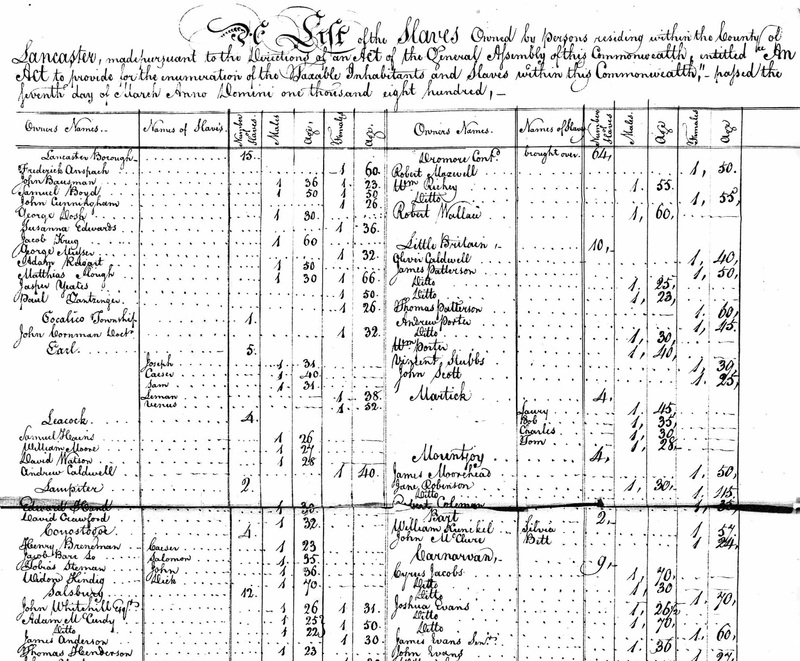 But I have trouble believing that he could look at the 1810 census and make immediate sense of it. I routinely have to explain how to read the early U.S. censuses to people who have already been doing some level of genealogical research. How likely is it that someone with no experience could just up and understand it? Well, I guess it isn't impossible, but I'm a little suspicious. 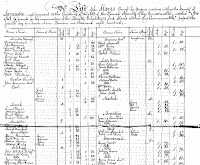 Inexperience notwithstanding, O'Donnell finds the relevant census page (even though it's indexed on Ancestry.com and appears on the page as McNier) and goes to George's name. He sees that the household has two parents and four children. Hait returns and shows O'Donnell a page from the 1812 Baltimore city directory, which he says will give more details. McNeir is listed as a tailor. O'Donnell extrapolates that if the British win the war, McNeir's business will be destroyed. He asks Hait if the address is near the water. Hait points out that Baltimore is a port city and that everything is near the water and would be affected by the war. Hait then shows O'Donnell some "poor papers." O'Donnell is stunned that these are originals and that he can touch them (but weren't the muster cards originals also?). Hait tells him to go to #72. There he finds George McNeir listed with house rent of $21.10. On April 21, 1813 McNeir's goods and chattels (which O'Donnell asks Hait to define; chattels are personal property) were seized and taken in payment for his house rent. Eighty-eight great coats worth $704 (according to Hait, about $11,000 today) were taken, which probably would have been his complete inventory. As for why this would have happened, trade with Europe had been hampered because of the war, and most of McNeir's customers would probably have been upper-class people in Europe. So the war destroyed his business. McNeir's inventory was gone, but he had a wife and four children, so he needed a job. That would be a good incentive to sign up for the military. O'Donnell asks how much a sea fencible would have earned, and Hait says about $23/month, equal to about $300–$400 today. So now we know why McNeir enlisted, but why would he have resigned? Hait points out that McNeir was serving at Ft. McHenry during September 1914, when a significant military event took place. He says that might give more information but doesn't actually say where O'Donnell should go (or at least if he did it didn't survive the editing process). Something I noticed during the scene with Hait was that O'Donnell was the person leading most of the dialogue, unlike the scenes with the other researchers. O'Donnell says that McNeir had lots of problems but that his first priority was to provide for his family. He doesn't know why McNeir resigned but thinks that visiting Ft. McHenry might help him learn. At Ft. McHenry O'Donnell meets Vince Vaise, a historian and park ranger with the Ft. McHenry National Monument. Vaise is a hoot. He is so enthusiastic about history, it's contagious. It's worth watching this episode again just to see him. Vaise tells O'Donnell that in late 1814 Washington had been burned, and Baltimore was next on the list for the British. On September 12 the British navy was seen on the horizon, so the men at Ft. McHenry prepared for battle. The next morning, September 13, it was pouring rain. The ships were out of range for the Americans because the British had a "secret weapon", a 194-pound shell that had a 2-mile range. The Americans were ordered to cease fire because they couldn't reach the ships and there was no reason to waste ammunition, so they were just sitting there. One captain later reported that they "felt like pigeons." The British bombarded the fort for 25 hours, and the battle could be heard in the city of Baltimore. On the morning of September 14, the British ceased fire. They had the advantage, but apparently they had used all their ammunition. Their secret weapon hadn't taken down the fort, and if they moved in closer, they would be within range of the American guns. So at 9:00 a.m. they sailed away. When everything became quiet people in Baltimore wondered who had won the battle. After the British left, the morning cannons fired and the small flag that had been flying was taken down. In its place a 42' by 30' flag was raised over the fort. 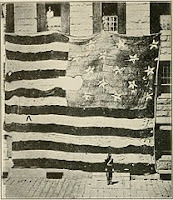 This flag was seen by Francis Scott Key, who was a lawyer in town to negotiate the release of a prisoner. He was so inspired by the sight of the flag that he composed the poem that was later renamed "The Star-Spangled Banner" and became the U.S. national anthem when set to the tune of "To Anacreon in Heaven." The Battle of Baltimore became the turning point of the war for the U.S. It also had an impact on the treaty that ended the war. After educating O'Donnell about the importance of Ft. McHenry, Vaise asks if he would like to help change the flag, to which he of course agrees. He looks very proud as he helps raise the flag over the fort. In his wrap-up (the third one without the family member from the beginning), O'Donnell talks about how his ancestors felt the call to service but had more important things like their families that took precedence. His ancestors helped with the cholera epidemic and the battle that inspired "The Star-Spangled Banner." His father would have been inspired and proud at the amazing stories he's learned about. These past generations helped instill the love of family that he has. This episode had some fantastic stories. It is an amazing coincidence that both George McNeir and his grandson Michael McEnnis joined the military and then very shortly afterward resigned to return to and help their families. It's incredible that the Smithsonian has McEnnis' saber and the letter he sent when he donated it. (And I'm still amazed they know their storage inventory that well.) Like the Zooey Deschanel episode, the producers must have been thrilled to be able to connect their celebrity so closely to such a major historical event. But the one thing they never actually demonstrated in the episode was why McNeir resigned his position as a third lieutenant. The inference in the episode was that McNeir might have resigned because of his incredibly stressful experience at Ft. McHenry. But if the reason McNeir enlisted was to support his family because of the problems with his business, the fact that the battle at Ft. McHenry went in favor of the Americans wasn't enough to solve those problems. They probably didn't know at the time that the battle was the turning point in the war. The war itself didn't officially end until 1815 — but it was mostly over by the end of 1814. I think it's more likely that McNeir resigned because the war was ending and he thought it was time he could start to rebuild his business. But that doesn't sound as dramatic, does it? I had a personal interest in this episode of Who Do You Think You Are? once they started talking about Quakers. Several of my father's family lines were Quakers, and I have read interesting stories about them. I know from my own research that the Society of Friends was strongly abolitionist, and I looked forward to seeing what role Zooey Deschanel's family played in the movement. Zooey Deschanel is part of a show-business family—director/cinematographer father, actress mother and sister. She is an actress and singer/songwriter. Her breakout film was Elf, she has released four albums as part of the duet She & Him, and she currently stars in the television series New Girl. Born in Santa Monica, she now lives and works in Los Angeles (and no, Santa Monica is not part of Los Angeles). Deschanel is close to her parents and her sister, and family has always been important. She has been told she comes from a long line of strong women (foreshadowing!) and thinks of herself as a gung-ho feminist. She even launched HelloGiggles.com, a positive Web communication site for young women. Her father's mother, Ann Orr Deschanel, passed away recently; she was a spitfire and a champion of human rights. "Granny" worked to end slavery worldwide; she was from a Quaker family, and Quakers were activists and liberal. Granny was political in her views, and at the age of 80 was arrested for chaining herself to the fence of a nuclear plant. Now Deschanel wants to know more about Granny's ancestors. She's been told she came from a long line of abolitionists and that someone spearheaded the movement before the Civil War. To begin her research, Deschanel visits her parents, Caleb Deschanel and Mary Jo Weir Deschanel. Caleb is the one with Quaker ancestry. He shows a family photograph of his great-grandparents Joseph Orr and Martha Elizabeth Pownall with their children, including his grandfather Adrian Orr. The three of them discuss how the Quakers were the first religion to take a stand against slavery. Quakers were also against war; they had close to equality of the sexes and believed in racial and religious equality. (One of my female Quaker ancestors was well known as a fervent preacher.) Deschanel says she was told stories of the Pownalls being abolitionists and wonders where she can find more information. Her father suggests that she go to the Philadelphia public library, and says it should have lots of records because Pennsylvania was founded by Quakers (gotta love that logic). So Deschanel travels to Philadephia, specifically to the Free Library of Philadelphia. She meets up with Max Carter, Ph.D., a Quaker historian and minister and director of the Friends Center at Guilford College (a Quaker college). He says that he has already done considerable research (now there's some honesty!) on the Pownall family in Quaker meeting (congregation) minutes and produces a fancy calligraphed family tree (shades of Mr. D. Joshua Taylor). They particularly look at Sarah Henderson (died in 1852), the daughter of Thomas Henderson and Elinor Brinton (died in 1853). Deschanel says she has heard about Sarah and asks if there is any way to find more information about her (one of these days I'd love to hear the researcher just say, "No, sorry, nothing to find" when the celebrity asks that leading question). Carter says to look up census records on Ancestry.com and specifically points her to the 1800 Pennsylvania septennial census in Lancaster County. This was a list compiled for tax purposes. A Thomas Henderson, identified as Deschanel's 5th great-grandfather, is shown owning one slave (though based on what we see in the episode there is no way to know that he is actually the correct person). Obviously, this guy was not a Quaker. Carter confirms that he did not appear in Quaker records (which may be why the fancy family tree has "unknown" for his birth and death? ), so Deschanel wants to know why Elinor would have married him. Carter explains that Quakers emphasized marrying for love, so Elinor would have been allowed to follow her heart and marry someone not of the same faith. (This confused me, because I have seen in Quaker records where someone was dismissed from a meeting for marrying outside the Quaker faith. Maybe it was okay if you got permission?) So Deschanel wants to know which side of the slavery issue Sarah was on. Carter says she should go down the road to Swarthmore College, which has the best repository of Quaker records in North America (and is another Quaker college). Deschanel really didn't have far to go, as Swarthmore is only about 13 miles (as the crow flies) from Philadelphia. At the Friends Historical Library she finds Stacey Robertson of Bradley University, whom she says she asked to look for records about Sarah. Robertson says she asked Chris Densmore, a curator at the library, to pull all the relevant materials. (So everyone is being very up front about this being set up beforehand!) They bring out record books for the Sadsbury Township Monthly Meeting for 1845–1882. They all wear conservator's gloves to handle the papers (since I've mentioned before that this is now generally a deprecated practice, I have to wonder why we see it so often on this program; maybe this is a small concession to the fact that many viewers believe that the show represents a normal research experience, and having them wear gloves will mitigate hordes of people going into repositories and pawing everything in sight). Deschanel starts with a record from January 5, 1848. In the meeting minutes she reads an admonition to "encourage the members of our society to be faithful against the sin of slavery." She asks whether abolitionist sentiments were common, to which Robertson replies no. Sarah was willing to be an outspoken opponent of slavery when it was dangerous to do so. Abolitionists were condemned as zealots by many people. They were attacked and mobbed, and sometimes kicked out of church. Robertson hands Deschanel a pamphlet, which the latter reads part of: "We feel constrained to invite you to join us in the inquiry against slavery, seeing that the evil has been steadily increasing." She continues with, ". . . when we lend our support to a government that sanctions and perpetuates this wrong." Sarah Pownall was one of the signers on this manifesto, which was a powerful statement against a U.S. government that accepted slavery in any form. Deschanel is very emotional, talking about how very brave Sarah and the other abolitionists had to be and how she feels closer to Granny now. She really does look moved by what she is learning. I love what she says: "Yesterday all I had was a family tree, but now I have an identity for this woman." If all you have is names and dates, it is just a family tree. You need to find more information about your ancestors, get to know more about them as individuals, to give them identities and allow them to be real people. Robertson says she is sending Deschanel to the Lancaster County Historical Society, because Lancaster County was a hotbed of abolitionism. Deschanel says she wants to know what else Sarah did to fight slavery and hopes maybe she can find a picture of Sarah (so we know she will). At the historical society she sits down with Professor Nikki Taylor of the University of Cincinnati. She says she wants to find out more about why Lancaster County had such a high level of antislavery activity. Taylor tells her that is was a combination of a large number of Quakers and close proximity to the Maxon-Dixon Line, which divided slaveholding Maryland from free Pennsylvania. To help illustrate the point, Taylor unrolls a poster map of the area which includes important sites and historical notes. In addition to clearly showing Lancaster County just across the Mason-Dixon Line from Maryland, the poster also has a photo of the "Parker House at Pownall Farm" and a note that it was demolished in 1898. Deschanel asks whether that was her Pownall family. Taylor answers yes and explains that it was the home of William Parker and his wife, who had been born slaves but had escaped to Pennsylvania. They rented land from the Pownalls. Parker was both a conductor (someone who guided runaway slaves) and stationmaster (someone who hid runaways in his home) on the Underground Railroad. Deschanel figures that the Pownalls must have known about these activities. 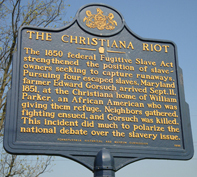 She then focuses on a marker for the Christiana Riot and asks what it was about. Taylor tells her that is now commonly called the Christiana Resistance and was a standoff between free blacks in Lancaster County against slave owners from Maryland. (I'm not quite sure about classifying escaped former slaves as free, though.) She says that it was an extremely important event leading up to the Civil War, and then adds that she has arranged for Deschanel to have a private tour of the Pownall farm so she can learn more about the Christiana Resistance. As she leaves the historical society, Deschanel is curious about what happened on her fourth great-grandparents' farm and wonders how violent or dramatic the events were. She thinks Sarah was probably involved somehow (gee, maybe because she's seen the script?). Deschanel goes to the Pownall farm in Christiana, Pennsylvania, where she is met by historian and author Fergus M. Bordewich in the middle of a field. He tells her the Parker house used to be where they are standing and that the Pownall home was about a quarter of a mile away. He explains that Parker led what was essentially an Underground Railroad militia group determined not to allow anyone to be taken back into slavery. The issue had become particularly contentious since the U.S. Congress had passed the Fugitive Slave Act of 1850, which made it the responsibility of all citizens and the government to assist in returning fugitive slaves. Accused runaways could not be represented in court, and many freemen were taken also. Anyone who refused to help or who harbored fugitives could be prosecuted and imprisoned. The Christiana event took place on September 11, 1851 (something different to associate with that day). A Maryland slave owner named Edward Gorsuch had traced two runaway slaves to the Parker home. He organized a posse to go to the house and recapture the slaves. Deschanel wonders about Sarah's involvement, and Bordewich reads from an account written after the Civil War (History of the Underground Railroad in Chester and the Neighboring Counties of Pennsylvania, starting on page 107). The author wrote that Sarah Pownall spoke with William Parker and tried to convince him not to resort to "force of arms" but to flee to Canada if a confrontation ensued. Parker said he would fight, because the laws of the country protected white men but not blacks. When Gorsuch and his posse arrived at Parker's home, Eliza Parker blew on a horn to call for help. Several people from the area came to help them, and a battle took place on the Pownalls' property. Gorsuch was killed; his son was critically injured. Policemen who had come as part of the posse ran away. The fugitives were not captured, but the Pownalls were probably horrifed at the battle on their land. Newspapers across the country reported the incident. President Fillmore was told the government needed to act. A reign of terror came over Lancaster County, where "Negroes were hunted like partridges." Blacks were dragged from their homes and arrested; white abolitionists were also brought in by the authorities. Deschanel and Bordewich discuss how people like William and Eliza Parker emancipated themselves without waiting for Abraham Lincoln, and they did it with the assistance of people like Sarah Pownall. Deschanel wants to know what the Pownalls did then. Bordewich tells her they should go to Moores Memorial Library (in Christiana) to find out. As Deschanel leaves the farm she talks about how shocking it is to think that such a violent turning point leading up to the Civil War happened on her ancestors' property. At this point she thinks she has a pretty good understanding of what Sarah was like. She believes Sarah would probably help William Parker, but she hopes there's evidence to prove it (of course there is!). At the library the conservator's gloves come out again. Bordewich says he has asked the librarian to pull some documents for them to look at. The first is "Some Recollections of a Long and Unsuccessful Life" by George Steele (the relevant parts of which are available online). Steele later became the Pownalls' son-in-law. He wrote about the fighting at the Parker house and then how the Pownalls took Gorsuch's injured son into their home to care for him. This makes sense in light of their religious beliefs. Steele goes on to describe how Parker and his brother-in-law came to the Pownall house looking for help to escape. The Pownalls coordinated putting some food together, disguising the two men, and getting them out of the house safely. Some time after the two men left, a letter addressed to Elizabeth Pownall, the daughter who married Steele, was found under the front door. The message inside said that Parker was safe in Canada. Deschanel comments that this was a heroic operation. Bordewich points out that all of this was done while the area was under "hostile occupation" due to repurcussions of the incident. It occurs to Deschanel that the Pownalls must have done this type of thing before to be able to accomplish what they did under the constrained circumstances, which Bordewich says is proof that they were deeply involved in the Underground Railroad (proof? that's a bit of a stretch). Deschanel is impressed that a woman at that time could be so brave and political, and excited that it's her family. Then she wonders what happened in Christiana in the aftermath of the riot and what happened to the Pownalls. Bordewich tells her that 38 neighbors, both black and white, were arrested for "treason for making war against the United States", but not the Pownalls. Only one of the accused was actually put on trial, and he was acquitted in 15 minutes. The federal prosecutors were humiliated and dropped the rest of the charges, so everyone went free. But one friend of the Gorsuch family was so affected by the situation that it helped embitter him against the federal government. John Wilkes Booth was so angered by the injustice against his friends and that no one paid for it that it fed his hatred, which eventually led to the assassination of Abraham Lincoln. 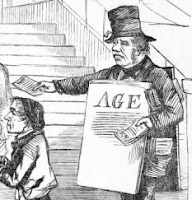 The narrator's voiceover says the Christiana event "angered a notorious man", which is not accurate, because in 1851 Booth wasn't yet notorious; he was just an actor. After telling Deschanel about Booth, Bordewich hands her another folder and says, "Open this," with no other comment. Inside is a photograph of Sarah Pownall (it looked like it was probably a photograph of a painting, which should have been explained; I would certainly have liked to learn when the painting was made and what the occasion was). Deschanel says she has real respect for Sarah, whom she thinks of as a hero, and that she admires her intelligence and bravery. Bordewich (a little heavy-handed in the moral department) says that the Pownalls followed a higher law that required them to act as they did rather than do something that was legal but morally wrong. But the actions of the Pownalls and of others in the abolitionist movement did help lead to the free country that we have now. Deschanel remembers from the calligraphed family tree that Sarah died in September 1852, about a year after the Christiana incident. Bordewich tells her that they don't know how she died. It could be that the stress of what they were doing contributed. (I noticed on the family tree that Sarah's mother, Elinor, died only a year later, in 1853, so I was wondering if maybe they both had the same illness or something.) Bordewich says he does have a map of Sadsbury cemetery, which is only a few minutes' drive from the library, and Deschanel says she will go to pay her respects. She's sad that Sarah died before the Civil War and the Emancipation Proclamation, because she didn't get to see that in her lifetime. The episode closes with Deschanel thinking about how she sees qualities of Sarah in Granny. She is amazed and impressed at how politically involved Sarah was. She's inspired by what she has learned and wasn't prepared for how moving it would be to learn about Sarah. And she never imagined that she came from such heroes. I was surprised that the wrap-up didn't include the family members we saw at the beginning (two episodes in a row now). The research again held together pretty well, though it would have been nice to see the slave-owning Thomas Henderson substantiated better. This family appears to have been written about quite a bit, though, and there are very good records for practicing Quakers, so it isn't too surprising that it came together well. The producers must have been very happy to have a celebrity to tie into this interesting part of history. An unexpected side effect of Who Do You Think You Are? moving to TLC is that now I see commercials for other TLC programs. I had heard of Honey Boo Boo before but had never seen anything about it. Now that I've seen several advertisements, I'm truly afraid that people I know watch it on a regular basis. It's taking me a little longer than usual to write my commentary on the recent Who Do You Think You Are? episode because I'm having trouble reading my own notes (!). I think I'm going to have to watch the episode again to figure out what I wrote. In the meantime, several more family-history-related projects that are looking for information or help have been posted, so I thought I'd share those in the hope that some of the people who read my blog can be of assistance. 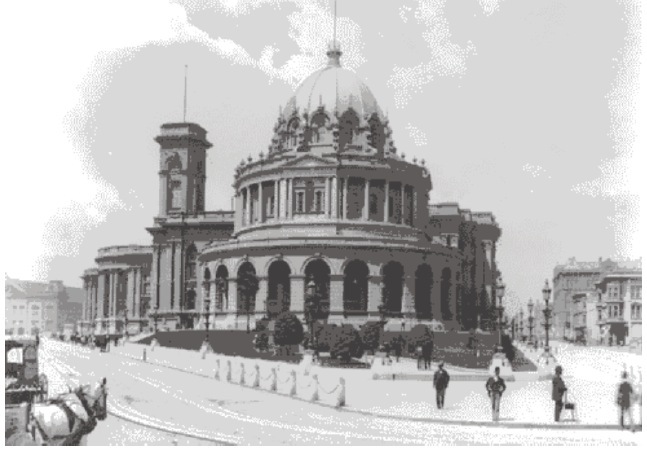 In 2014 the American Sephardi Federation (ASF) will participate in an exhibition at the Center for Jewish History on "Jews and World War I" in conjunction with the centennial of the war. ASF's holdings are limited in this area, so help is being sought to enrich the part of the exhibit relating to the story of Sephardim during and immediately following WWI. Material is sought about Sephardim in Turkey, Greece, Bulgaria, Serbia, Bosnia, Egypt, Palestine, Iraq/Mesopotamia, Italy, Syria, and the United States. Artifacts, images, and documents should be from the years 1914 through 1923. 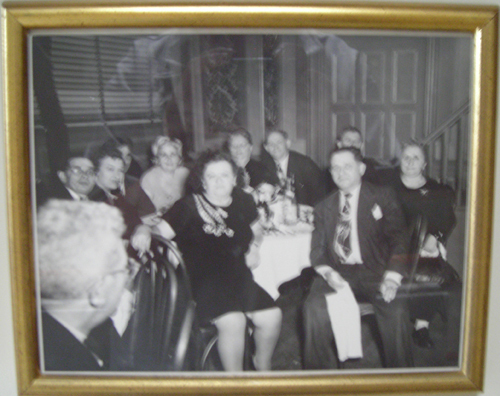 ASF is particularly seeking the following: Sephardi newspapers and periodicals (La America, La Vara, others); passports and documents relating to immigration; documents relating to citizenship, work, military enlistment and service; family photographs of this era; family heirlooms relating to the era, such as objects, artwork, etc. 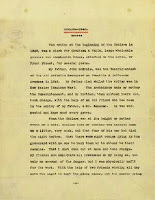 ; garments, equipment, souvenirs, memorabilia relating to Jewish military service; items relating to Sephardi Zionism; items relating to politics in Sephardi communities and links to national politics; items reflecting Balkan, Greek, Turkish/Ottoman, or Arab anti-Semitism or anti-Zionism; items relating to the Salonika fire of 1917; and material relating to Moise Gadol and the Sephardi community in the United States; Synagogue Berith Shalom, established by Congregation Shearith Israel, which moved into headquarters at 86 Orchard Street in 1913, and the settlement house at 96 Orchard Street, New York City; Rhodes League of Brothers Aid Society, Inc. (incorporated 1912); the Chios Brotherhood; and the Salonika Jewish Brotherhood. If you can lend material for this exhibit, contact ASF Director Lynne Winters at lmwinters@asf.cjh.org or ASF's Librarian and Archivist Randall Belinfante at rbelinfante@asf.cjh.org. Your contribution to supplement and enhance the section relating to the history of Sephardim in these countries during and immediately after World War I will be much appreciated. Artist Ken Aptekar is seeking pre-World War II home movies of Jewish life in Lübeck, Germany for a museum exhibition. He has posted a video at http://www.youtube.com/watch?v=QvNeDXUM57k with information about his request. The Los Angeles Museum of the Holocaust is looking for submissions of family photographs and images of personal artifacts to its World That Was Interactive Table. The touch-screen table currently has more than 8,000 photos that museum visitors can explore. Photos should be from Europe, Palestine, or Africa and have been taken before 1946. You can also include stories that go with the photos. Click here for more information and a link to the submission form. During the mid- to late 19th century almost one million Norwegians traveled to Hull, England on their way to America. A history project being conducted at Sheffield University is tracing the paths of the Norwegian migrants who went through Hull before continuing their journey to Liverpool and then across the Atlantic. Researchers are looking for information that documents the migrants’ visit to Hull on their voyage to a better life. Details about the project can be found in this newspaper story and at a virtual re-enactment of the voyage, set in 1880. The virtual site has submission and contact information for the project. Fort Laurens was the only U.S. Revolutionary War fort built in what is now Ohio. The Friends of Fort Laurens Foundation is seeking any records which refer to Fort Laurens in any way. The foundation's Web site has an incomplete list of men believed to be at Fort Laurens in some capacity. Check the site to see if your ancestor's name is on the list. And if you know of a soldier who was at the fort and is not on the list, there is a form to submit that person's name. The Adoption and Jewish Identity Project is dedicated to improving the lives of adoptees raised in Jewish families. The project is directed by Dr. Jennifer Sartori, Associate Director of Jewish Studies at Northeastern University, and Dr. Jayne Guberman, an independent scholar and oral history consultant. They are looking for young adult (ages 18–36) adoptees raised in American families that identified at least in part as Jewish to share their experiences and perspectives as part of a research study. Participants may submit their stories in writing or via audio or video. Sartori and Guberman will also conduct focus groups and in-depth interviews with selected inviduals. The collected stories will be used (either anonymously or attributed, depending on your wishes) for a book about the complex identities of adoptees raised in American Jewish families. If you are an adoptee interested in sharing your story, visit https://www.surveymonkey.com/s/AJIPAdopteeQuestionnaire to tell a little bit about yourself, and the project coordinators will be in touch with you with more details. All information provided in the questionnaires will be kept completely confidential. Participants will be able to choose whether to be identified by name or to remain anonymous in any publications or projects that result from the project. Adoptees do not have to identify currently as Jewish in order to participate. If you have questions, please send a message to adoptionandjewishidentity@gmail.com. Okay, I'm a little late with this write-up. But I was attending the IAJGS conference last week, and the cousins I was staying with don't have a television, so I didn't even get to watch the episode until this past Sunday. But I'll be caught up by this weekend. This episode of Who Do You Think You Are? was another with a focused question to resolve. Chelsea Handler's maternal side is German, and her grandfather apparently served in the German army in some capacity during World War II. The question is, what exactly did he do? Was he a Nazi? Handler is introduced as a comedian, author, and television show host. (My on-demand TV guide called her a "media mogul.") Her mother, Rita Stoecker, came to the United States from Germany when she was 19, and her father, Seymour Handler, is Jewish-American. (Handler's Wikipedia and IMDb entries say that her mother was Mormon, but the Stoeckers' religion was not addressed in the episode.) Handler is the youngest of six children. The chidren were raised Jewish, and she feels very connected to her Jewish roots. She has been living in Los Angeles since she was 19. Handler grew up knowing her maternal grandparents, Karl and Elizabeth Stoecker, who also came to the U.S. from Germany. Karl Stoecker was a big, strong man who served in World War II as a soldier. He was captured as a prisoner of war and sent to Montana in the U.S. for several years. When he was repatriated back to Germany, he decided he wanted to return to the U.S. to live. Elizabeth Stoecker had talked of her life during the war years, but Karl did not discuss the war. The family has had a running joke that they come from a line of Nazis. Handler's mother and grandparents have passed away, and she has little solid information about that side of the family. Her older brother Glen knows the most history and knew all their grandparents, so she asks him for some help. My guess is that he's the family member with the most actual interest in genealogy. He comes to visit and says he came across some interesting stuff, then tells Handler to "hop on the computer": He has a family tree on Ancestry.com (doesn't everyone besides me?). Glen also has some documents. Karl's birth certificate (shown online; it might have been uploaded by someone else) says that he was born in Bochum. Elizabeth wrote a memoir in November 1966 about her life in Germany, but wrote in German, so it needs to be translated. And there is a green booklet with Leistungsbuch on the cover ("power book", according to Google Translate) with Karl's name in it, dated October 1935. It could be Karl's identification from the German army; it needs to be translated also. And off Handler goes to Germany. She has sent the documents ahead to a German researcher named Andrea Bentschneider. She meets Bentschneider in what appears to be an old factory in Herne, which is near Bochum. Handler asks about her grandfather, and Bentschneider says that the building they are in holds some significance. She explains it's a converted factory, and Karl used to work there. Handler looks around kind of blankly and says, "Oh my gosh, this is amazing," but she sure didn't sound amazed. Bentschneider reads from Elizabeth's translated memoir that Karl had found a position as a draftsman at Flottmann's; the building used to be Flottmann's factory. Flottmann had joined the Nazi party in 1931, before Hitler came to power, and was a committed party member. Handler calls him a "Nazi enthusiast", a phrase she used several times during the episode; in my mind, the phrase downplays the commitment to the party that someone such as Flottmann appeared to have. On the other hand, one time the narrator called Flottmann a "notorious Nazi", which seemed a bit of a stretch based on the information we had been told. 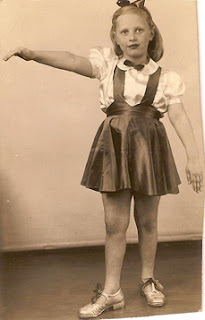 She wonders what her grandfather would have had to do to get a job working at Flottmann's factory and whether that made him a Nazi also, but Bentschneider reassures her that simply having a paying job would have been sufficient motivation to work for Flottmann. Focusing on Elizabeth's narrative, Bentschneider confirms that it was a memoir, written at the request of one of her daughters. The memoir gives insight into the lives of Handler's grandparents and other Germans after World War I. Germany had lost its strong role and leadership in the world and was deeply in debt; there was a hunger among the populace for someone to lead them into better times. Elizabeth recalled her own mother saying, "Children I don't have anything," when Elizabeth and her siblings asked for a piece of bread to eat. People in such desperate situations often look for any ray of hope, which Adolf Hitler provided. He reduced unemployment by creating work projects (similar to what the WPA did here in the U.S.), so people thought he had good ideas, not realizing what would happen in the future. Handler wants to know if more personal information was in the memoir. Elizabeth had written about when she and Karl were newly married, in 1936. She played piano and he played violin, and they performed together with a group. She remembered things being happy until 1939, when the war started. She could have been justifying things to herself and simply remembering the good times. Nothing in the memoir, however, talked about Karl having anything to do with the Nazis. 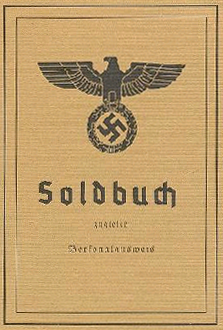 Handler's other document, the small green booklet, was for the Sturmabteilung (S.A.), a paramilitary wing of the Nazi party. She wonders if it could be bad news. Bentschneider says she has made an appointment for Handler to talk with an expert and will send the booklet to him to evaluate beforehand. Still in Herne, Handler goes to the city archives (though the German on the building said Stadt Bibliotek, which is a library) to talk with historian Ralf Piorr (who has his own Wikipedia page and has written a book about the Jews of Zamosc). He explains that the Sturmabteilung were also known as Brownshirts and were "rowdy boys" or street thugs. Karl's booklet was for a labor service camp in Fröndenberg. Officially, the camps were created to help curb unemployment, and participation in them was made mandatory in 1935. They were also a way for Germany to get around the post-World War I Armistice prohibition against military training. Participants had to attest to their German Aryan descent and that they were free of traces of the Jewish or colored race. Karl was in a voluntary "sports" program at the camp that included small caliber shooting, distance estimation, and camouflage training. This wasn't really proof that Karl agreed with Nazi ideology. Piorr comments that if everyone else says yes, in that kind of situation you don't really have the option to say no. There was no photo or signature in Karl's booklet, possibly indicating that it was not particularly important to him. Handler asks what documents might have more information, particularly whether Karl was a member of the SA, and Piorr says she should go to Berlin to the military archives. Next stop: Berlin. Handler meets historian and author Roger Moorhouse at the military archives. Of course, he already had all of Karl's papers pulled. He tells Handler that Karl was not a member of the SS or Nazi party, and that only about 10% of the population were actually members of the Nazi party. Karl's Soldbuch (Army pay book) began on September 22, 1939, three weeks into the war, which could have indicated he wanted to fight, but Moorhouse says he was drafted. Rita, Handler's mother, was only four months old at the time. The pay book had only three rank lines: private, private first class, and corporal. Karl was not earning lots of promotions. He started with the 196th artillery regiment, which Moorhouse says was a low-grade unit that would have been kept in the rear, and stayed with similar regiments throughout his army service. Handler recalls her grandfather as big, strong, and athletic, but the records indicate he was average, so she wonders if they represent a lack of interest or sympathy on Karl's part. Moorhouse says he was probably part of the "floating middle" -- not enthusiastic, but not actively oppositional, as the latter were persecuted. The middle just went along and tried to stay invisible. Handler says that when asked about the war Karl seemed embarrassed, which Moorhouse relates to the collective guilt of the German people about the war. Handler wants to know more about the units Karl served in. He started with the 196th but later, in the second half of 1942, was transferred to the 12th, where he experienced his only front-line service, on the Eastern Front in western Russia. He was there in the winter, when it was brutally cold, and combat was horrific. Moorehouse says Karl "had a tremendous stroke of luck", as he was again transferred, this time in mid-1943 to the 242nd, which was assigned to the south of France. His old regiment was almost entirely wiped out about a month before he was captured, and he probably would not have survived. 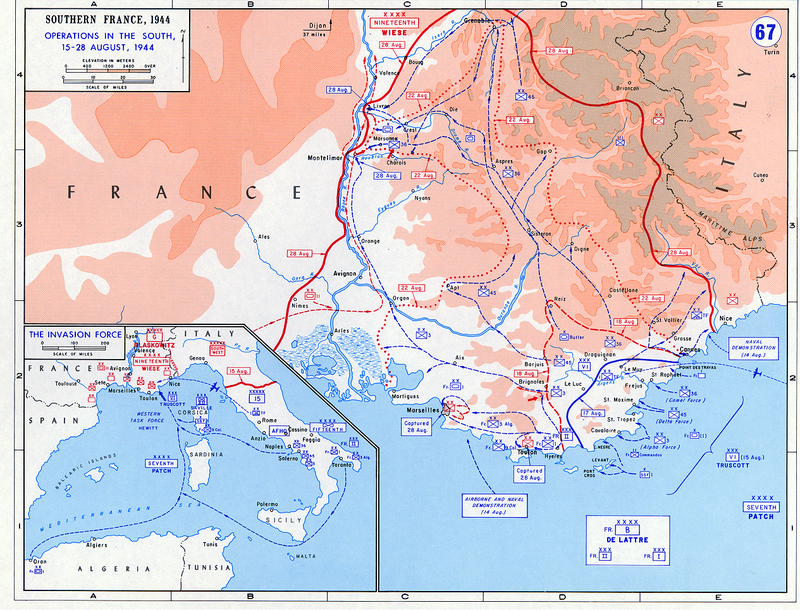 On August 16, 1944 he was captured by the U.S. Army at Saint-Raphaël. Handler recalls being told that he had been sent as a POW to Montana. Moorhouse says there should be details and that he will look for them, while the "best thing" that Handler can do is go to Saint-Raphaël. (So the records are in Berlin, but she should go to the south of France?) As she is leaving Berlin Handler says she is relieved that Karl was not a "Nazi enthusiast" (there's that phrase again), just a participant. She also mentions she had brought a bikini since she was going to the south of France, pretty much giving away that she knew ahead of time where she would be going on her trip. Handler then asks what happened to the German POW's. Weiss shows her a short film (on an iPad; hooray for that Apple product placement) that was shot on August 16, 1944 by an American military photographer (which means it should be available somewhere -- maybe the Library of Congress? -- but the closest thing I could find online is the fourth item on this page of a for-profit site). It showed the German soldiers sitting and smoking. Handler says, "One of those guys is probably my grandfather." Since they didn't focus on a particular shot, however, I'm guessing they did not find him in the film. Handler asks Weiss how he had felt toward the soldiers. He says that since he is Jewish, it depended on who the soldier was. If the man was in the SS it wouldn't be good, but he could feel a fellowship with regular soldiers. He explains that SS were usually recognizable by their uniforms and their arrogance. Handler wonders what it was like if a Nazi was captured by a Jewish soldier. Weiss replies, "Can you imagine what the world would be like if they weren't?" Handler muses to herself that in the film the German soldiers look relieved. Her talk with Weiss has brought together how her grandfather probably felt at the time. She's glad to have talked with Weiss about it, because he is a Jewish American, and declares, "I am proud to be a Jewish American." Then she calls Moorhouse on the phone, who tells her he has completed the research and discovered that Karl was not sent to Montana, but to Iowa. So that's where she is heading next! In Algona, Iowa, Handler is met by Jerry Yocum, a local historian, at the airfield where the Algona POW camp used to be. He gives a short history of the camp, which had 187 buildings on 287 acres and barracks that held up to 2,500 prisoners. 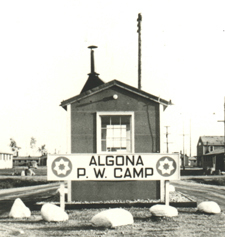 He says many camp items are in the Camp Algona POW Museum, if Handler wants to see them (duh! ), at which point they go to the museum. Handler of course asks about documents regarding her grandfather. Yocum shows a card from September 1, 1944, when Karl Stoecker (#27200H) was initially processed, and one from September 29. Both cards have photos. On September 1 Karl was very skinny, and on September 29 he looked much healthier. The prisoners were treated humanely, although the German government had told them that if they were captured they might be castrated or used for drug experiments, and that there was a lot of turmoil in the U.S. The propaganda was meant to keep the soldiers fighting and not surrender. Yocum explains that the POW's had good food and did exercise and some work, such as on local farms. In their off-duty hours they were encouraged to do things such as write letters and use their artistic talents, including putting on stage plays. Yocum says, "Here's one that involves a little bit of music," and shows Handler a photo of one of the plays. Handler recognizes her grandfather sitting in the orchestra pit with a violin. Given how well the prisoners were treated, she now understands why he wanted to return to the U.S. after the war. At the end of the episode Handler talks about how she had never felt a close connection to the German side of her family because she didn't know that much about it, and had been worried that her grandfather could have been a hard-core Nazi. Now that she knows he wasn't, the way he made it through is a good life lesson -- don't use your big mouth, just trudge forward and survive. (But she knows that someone "as obnoxious and outspoken" as she is would not have been able to do it!) All of her grandfather's experiences shaped him; everything he saw combined to make him a good man. She feels a much better connection with him now. There was no wrap-up at the end of the episode with Glen, the family member from the beginning. He seemed interested in the family history, so I wonder why they didn't bring him in for the finale. Friday, the final day of the conference, was not just throw-away sessions. The ones I attended were interesting, even if I didn't agree with everything. The early morning one (that I had to be at on time, because I was assisting the speaker) was given by Sandra Crystall, whose day job is using geographic information systems (GIS) in wetlands assessment for the New Hampshire Department of Environmental Services. She is also an enthusiastic genealogist. She has taken population data collected by Dr. Laurence Leitenberg and is creating maps that show the changes in population over time for about 800 towns. Crystall is using data for the years 1750, 1800, 1850, 1900, and 1930. 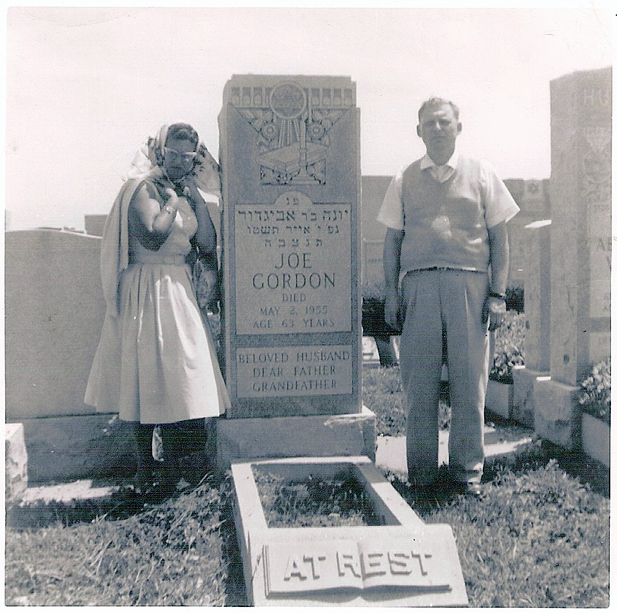 The research and project were supported by the International Institute for Jewish Genealogy and Paul Jacobi Center. The maps show increases and decreases and indicate shifts in population from small towns to larger cities. When the maps are completed they will be posted for online viewing. Several people in the audience suggested that interactive maps that showed the continuum of changes would be better than the static maps that are being created, but those would take significantly more time and programming. Certified Genealogist Rhoda Miller gave a presentation on evidence analysis. This was essentially a talk about the Genealogical Proof Standard (GPS); she discussed all the points of the GPS in relation to several examples. Few people in the audience were professional researchers, and almost no one had heard of the GPS before. In one example, I disagreed with her classification of a piece of evidence as being a primary source. She had created a table showing the pieces of evidence she had found for the birth year of her grandfather. For all but one, there was no way to determine who had given the information for his birth year (e.g., ship manifest, census return), and she listed them as secondary sources. But for one record, an application for a grave purchase, her grandfather had given the birth year. She classified this as primary, saying that he would know when he was born. I asked why that was not a secondary source, as he was not cognizant at the time and could not attest to it from his own knowledge or memory. She explained that his parents would have told him. I did not press the point, but in my mind, that's the very definition of second-hand information: when someone else tells you. But I'm not a CG, so I may be missing something. The final session was definitely one that I'll be able to use. Vivian Kahn and Rony Golan taught a quick-and-dirty Hebrew class for genealogists. The handout was a list of genealogical terms in English and Hebrew, complete with pronunciations, and lists of male and female names in English and Hebrew. We got an overview of the alphabet in both block printing and cursive (which was great, because cursive is so much harder) and even some comparisons to Yiddish. For example, I now know that cursive Yiddish uses vowels, but Hebrew doesn't. Printed Hebrew often doesn't use vowels either, particularly on tombstones. Those missing vowels can make translation difficult. I'm starting slowly -- I can recognize three letters so far! -- but it's a start. Learning Hebrew and Yiddish has long been on my to-do list, and at least this class was a first step. There was no wrap-up or good-bye ceremony for the conference; it was just suddenly over. I left the hotel and went straight to meet up with my cousin so we could drive to Connecticut for a visit with her mother. It was a lovely visit, and she answered all sorts of questions about the family. Luckily, her memory is still very good. She also has a beautiful photograph of my great-grandmother and three of her siblings, along with all of their spouses. She let me take a photo of the photo (even if I got it a little fuzzy) and identified everyone for me! But she doesn't know why a cousin is in the photo and the fifth sibling isn't. On Saturday, before I returned my rental car and boarded my flight back to California, I made one more genealogy visit, but this time the conversations were one-sided. I drove to Brockton, not too far from my cousins' house in Sharon, and found Calvary Cemetery, where the great-grandparents, great-great-grandparents, and several cousins of my stepsons are buried. I paid my respects at both of the family plots and stayed around to talk to them for a while (just like Kelly Clarkson did on Who Do You Think You Are?). It's a well maintained cemetery, and the gravestones are in good condition, which was nice to see. I'm glad I was able to go.